What is (in) Apache ServiceMix? 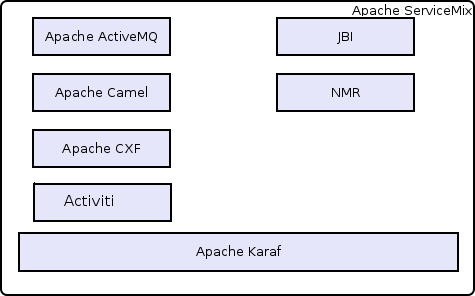 Apache ActiveMQ, Camel, CXF and Karaf into a powerful runtime platform for building integrations solutions. how and when they can be used together.